BreakThrough Physical Therapy is proud to specialize in the rehabilitation of dancers. Knowing the demanding rehearsal schedules that these athletes have to keep, we make every effort to work with scheduling needs to ensure they receive excellent care without compromise to their rigorous routine. Our experienced staff members have worked with amateurs through professional dancers and have a keen understanding of how the body needs to be able to move in order to reach performance goals. We have ex-professional dancers on staff as Therapists that are thrilled to work with our injured dancers to address all aspects of their rehabilitation needs. In order to provide the best possible rehabilitation experience, we have designated studio space specifically for dancers to provide a true dance surface, mirrors, and barre to mimic a studio setting. This allows our Physical Therapists to evaluate specific techniques as they would naturally occur in a dance setting, and address concerns to prevent further injury. Our Pilates studio equipment also offers an exceptional option for the dancers rehabilitation needs. Pilates exercises target the core musculature, while incorporating other muscle groups that are imperative for the dance population. Our staff are trained in these exercises and frequently incorporate the Pilates methods into programs for our dancers due to their effectiveness. Dancers that are interested in Pointe, but concerned about their body’s readiness for this are encouraged to set up a Pointe Preparedness Evaluation with one of our Dance Specialists. This one-on-one session will evaluate a dancer’s body and the elements needed to transition into pointe work. 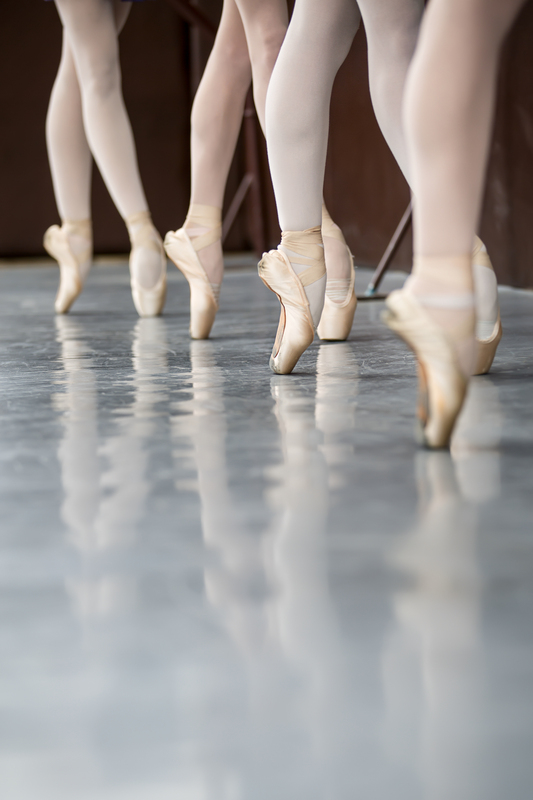 The therapist will address areas of concern and educate the dancer on how to improve the condition of his/her body to better prepare for the demands of Pointe, and most importantly- avoid injury.